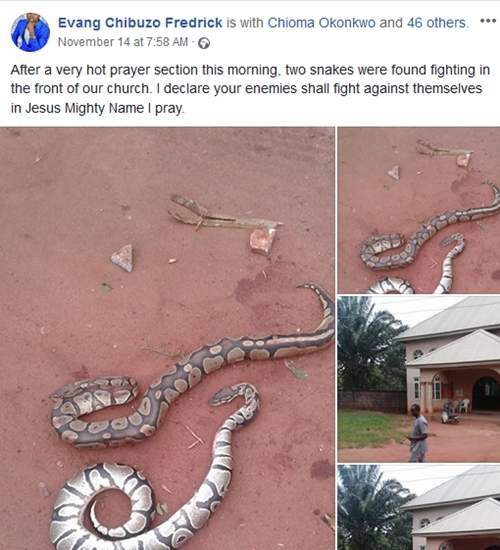 A Facebook user identified as Evangelist Chibuzo Fredrick, who is an Nnewi-based clergyman, took his Facebook page to thank God after two snakes, which were believed to be 'enemies', began fighting in front of his church shortly after a hot prayer session. 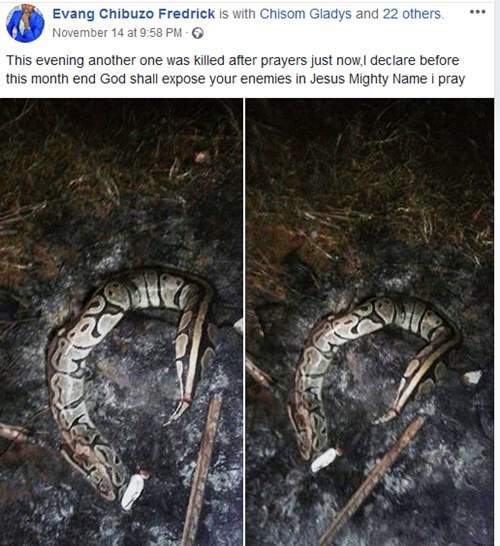 The clergyman who shared photos of the fighting snakes, wrote: "After a very hot prayer section this morning, two snakes were found fighting in the front of our church. I declare your enemies shall fight against themselves in Jesus Mighty Name I pray." 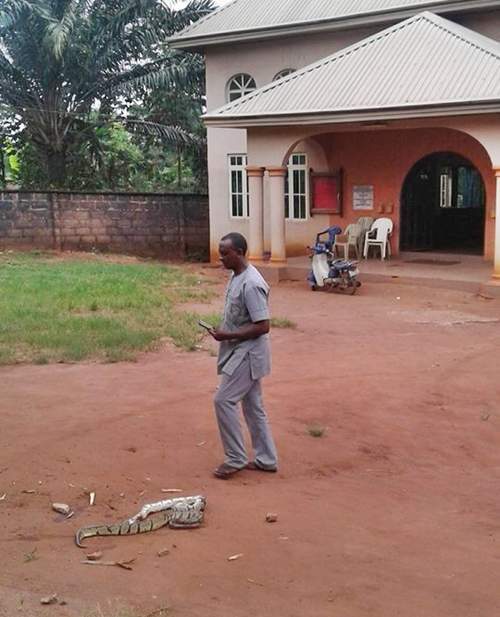 Trending photos of Anambra bulletproof Pastor, Elijah, flaunting bundles of naira before he was "shot".